In today’s fast paced world, technology has fundamentally changed the way we interact with each other, acquire goods and services, and do business across the globe. As the Internet becomes increasingly ubiquitous and more essential to our everyday lives, companies and individuals are becoming more comfortable with conducting their affairs remotely while enjoying the convenience of instant results that are often more efficient as well as cost productive. Telemedicine and telehealth are a natural by-product of the technological innovation that has made people’s lives easier. At Telemedicine Physician Group, our highly trained and experienced team of doctors is able to provide quality care and treatment, directly to our patients, wherever they may be. Though the practice is not new, telehealth has recently come into the spotlight, and many patients understandably ask: what is telemedicine? Telemedicine was developed to provide treatment to patients in need of medical services who may be unable to access primary care. Many of these people seek treatment at the ER, or urgent care clinics, when they could have received less expensive care faster and more easily over the phone or online. According to the American Medical Association, 70% of the visits people make to the doctor concern issues that could be addressed remotely or through a telehealth service like Telemedicine Physician Group. In addition to providing patients with a much more convenient method of medical care, to truly answer the question of what is telemedicine and how it benefits people, one simply needs to look toward its positive impacts. According to research, those utilize telehealth services eliminate unnecessary doctor’s office and ER visits by up to 66%. In a medical industry that experts agree wastes over $100 billion dollars a year, convenient telehealth services like Telemedicine Physician Group are not only beneficial for patients, but are also a boon for the healthcare system at large. 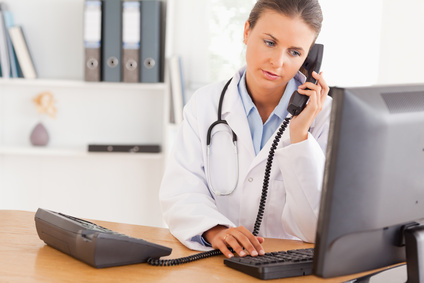 If you’re wondering what is Telemedicine and what it can do for you, at Telemedicine Physician Group, our expert team of doctors provides patients with immediate access to high quality care on their own terms to virtually any location. With our popular service, you’ll be able to skip the hassle of the waiting room for a full evaluation and consultation with an experienced physician through a private and secure connection. We can also prescribe you any necessary medication which you can fill at the pharmacy of your choice. Our friendly and professional doctors are all verified by both the American Medical Association and the National Physician’s Database, credentialed under the National Committee for Quality Assurance, and have the highest level of expertise. If you’re curious what is telemedicine and how it can best benefit you, contact us today for high quality medical care that’s always just a call away at (310)849-7991.